Did you know? The director of the popular 1990s film Nikita, Luc Besson, fell in love with the area while filming a scene for the motion picture in the former power station. The world-renowned director Luc Besson chose this former power station in Saint-Denis to build his Cité du cinéma. Built in 1905, the Saint-Denis power station was originally designed to generate electricity to power the metro. It was extended in 1933 and straight away began supplying four major public services with electricity – these were the compagnie du chemin de fer métropolitain (metropolitan railway company), the société des transports en commun de la région parisienne (Greater Paris region public transport company), the Compagnie de Production et de Distribution de l’Electricité (electricity production and distribution company) and the lighting company Nord-Lumière. In 1981, the power station was taken offline. Luc Besson transformed the site, completely dedicating it to cinematic arts. It covers all aspects of the industry’s creative supply chain, and aims to attract film producers the world over. This magnificent production site is open to visitors, which would still be worthwhile if only to contemplate the stunning Art Deco-style monument to the local industrial past that is the building. The tour, packed with secrets and anecdotes about filming, focuses on what goes on behind the scenes in the world of cinema, taking you through workshops where the sets are designed and the cinema school. The Cité du cinéma regularly hosts large-scale exhibitions, such as Harry Potter and Star Wars. Keep up to date with the what’s going on at the Cité du cinéma – many film screenings are held here! Studios in Epinay: formerly the studios Eclairs founded in 1907, these studios are the 3rd biggest in the world, behind Pathé and Gaumont. Known as the studios TSF since 2009, this place is used to film a large number of motion pictures and television series. Studios at the Entrepôts et Magasins Généraux de Paris (Warehouses and general stores of Paris) located between Saint Denis and Aubervilliers: built in the second half of the 19th Century, the site had one role to fulfil – stock goods before they were sent on to Paris. Nowadays, it has been adapted to the changing economy and is now home to different kinds of business, including textiles, head offices, events and television studios. 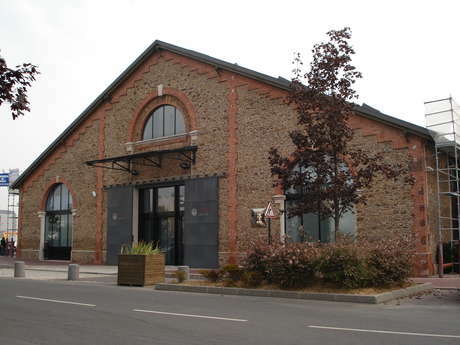 Just a stone’s throw from Paris, the studios attract many film projects for motion pictures and television series. Several television shows have their own studios here where you can come and watch filming and discover what goes on behind the camera.